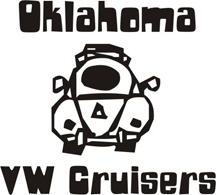 1st Annual Oklahoma Heart Hospital South Auxiliary Car and Motorcycle Show. October 4th 10:00am to 4:00pm. Proceeds to benefit free clinic and patients of Oklahoma a Heart Hospital South. Registration $15.00. Food, T-shirts, and other vendors available. For questions and registration information please contact Kelly Alexander at 405-628-6049 or kalexander@okheart.com.